Textile net for round 360 trampoline, sold separately. It will keep you from having to change the whole structure of your safety enclosure. 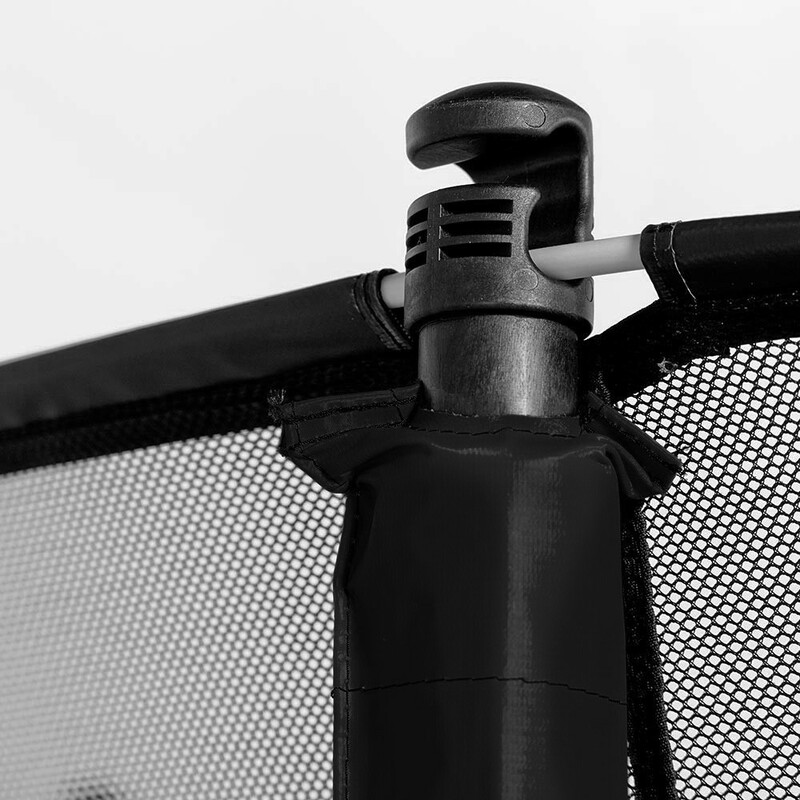 Only replace the worn part of your enclosure thanks to this textile net, sold without the posts. This will allow you to fix your trampoline enclosure if its structure is still intact but the net isn't. - This textile net is designed for round 12ft / 360 trampolines equipped with 4 feet and 8 posts and tensioned by fiberglass rods. - Soft and resilient, the net is made from fine mesh polyester that children can't get their fingers caught in. - The overlapping entrance which the user much pass through offers a double layer of netting for extra safety. Opening and closing the entrance is ensured by a Velcro band on the inside and several clips on the outside. 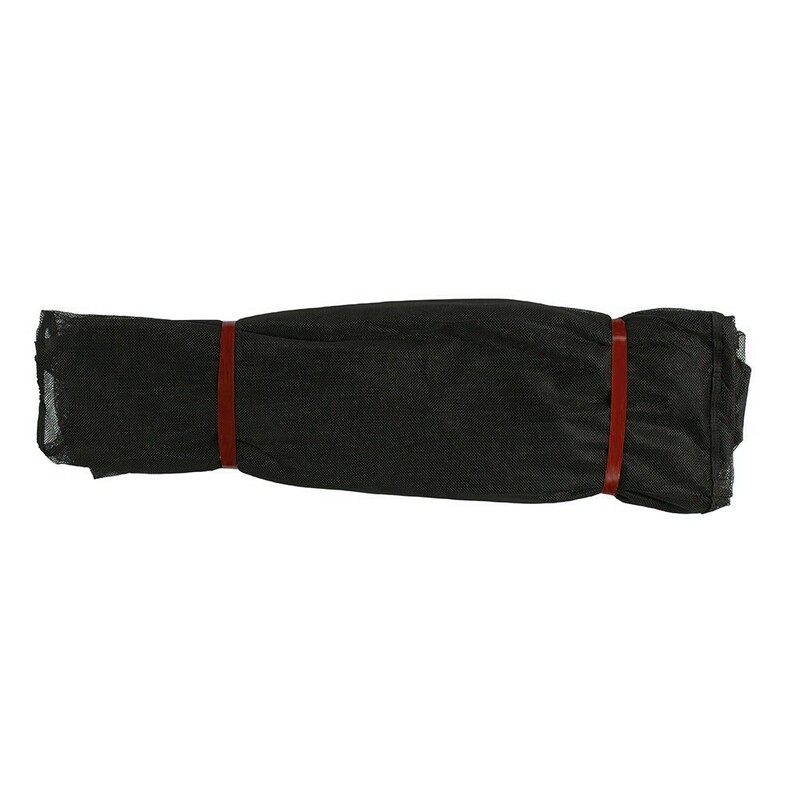 - This premium textile net is compatible with our 12ft. Black Booster 360, sold from April 2017. 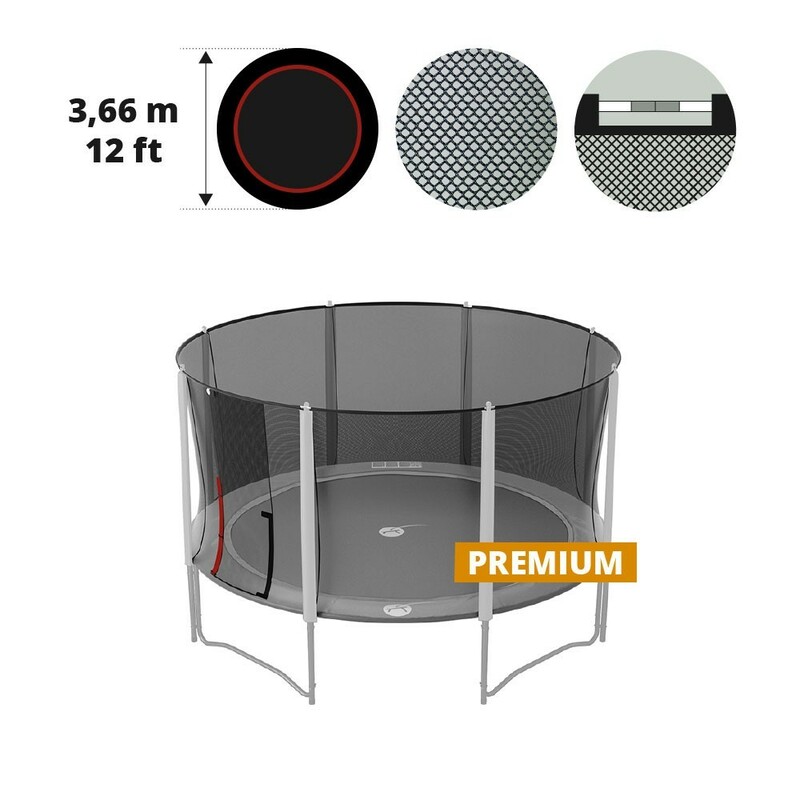 It will also fit any round trampoline that has the previous features, even if it is not a France Trampoline trampoline. excellent produit, performant et résistant. en remplacement après 6 années d'utilisations quasi intensive ! Filet de très bonne qualité, pas tout à fait le même que l'origine mais adaptable en tous points et plus pratique à installer. 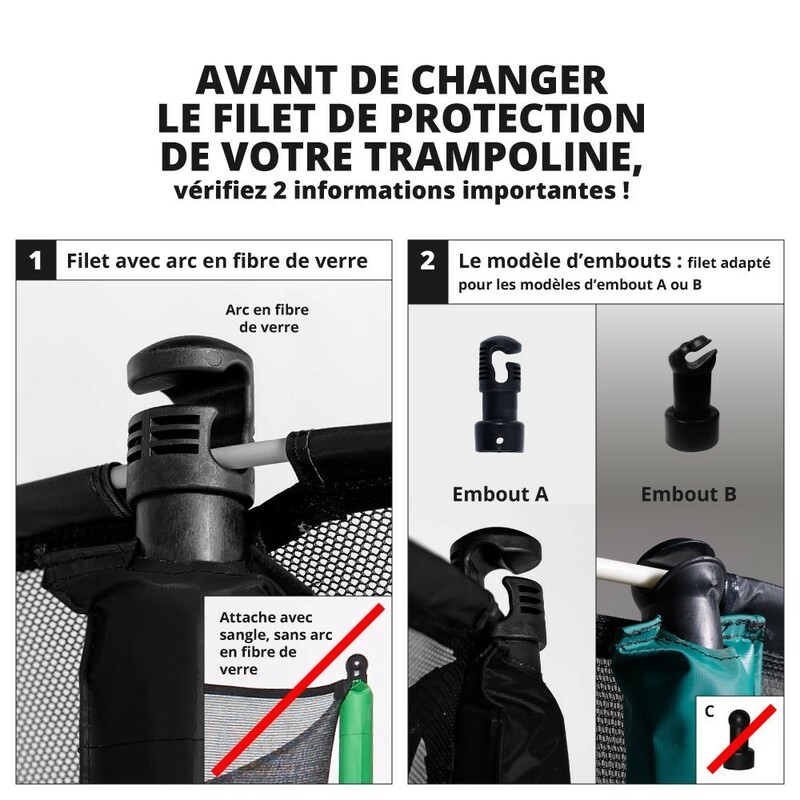 S'adapte parfaitement au trampoline. Semble robuste, à voir dans la durée.